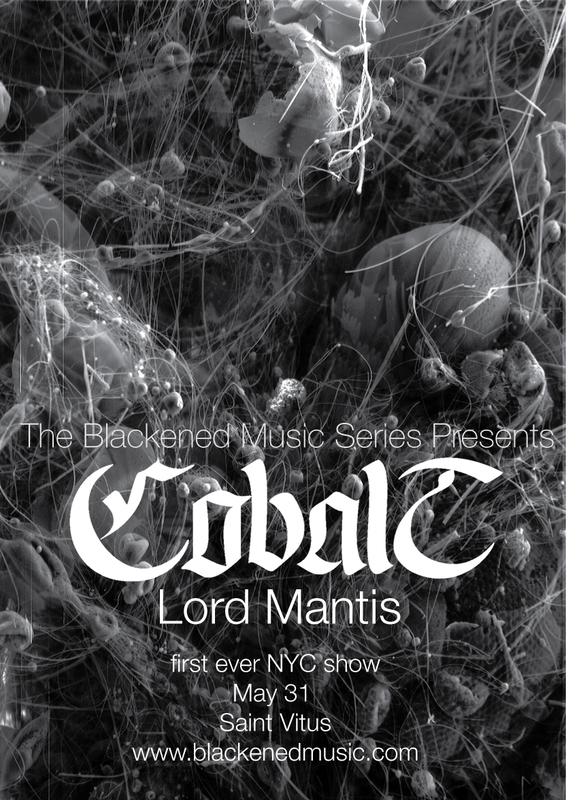 On May 31 and June 1 The Blackened Music Series presents the first ever New York City performances from the influential, experimental, elemental black metal band COBALT. Ten years into their career, Eric is taking a break from Man’s Gin, Phil is finally back from Iraq and Korea, and for the first time we can hear their surreal avant-war/left-field black metal live. If you don’t know Cobalt listen right now to their phenomenal album Gin courtesy of Profound Lore. And come to Saint Vitus for a show people will be talking about for years to come. With Chicago’s black metal hellraisers Lord Mantis. Flyer courtesy of Seldon Hunt. Powered by WordPress v 3.9.27. Page in 0.288 seconds.